It is every brides goal to look their best on their BIG day, so for the next 9 months I want to take you along my journey to getting into the best shape of my life. I will share with you my workouts and some healthy eating advice along the way. I want to not just tell you all what to do if you are looking to get back into shape, but I want to show you by example and motivate you all to want to change. It is so important to stay fit and active, no matter what ago you are. It prevents harsh diseases and makes you feel better about yourself. Take pride in your life and in your body and make the change for you. No one else can motivate you more than yourself! 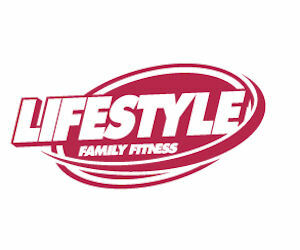 So last week I renewed my membership at Lifestyle Family Fitness, a gym here in St. Petersburg. I got a great deal and am pumped and ready to start working out again. After hurting my knee running my first half marathon I really hadn't done too much, so I am definitely excited to get back to my normal routine and start getting back in shape. My goal is to be in the best shape of my life on my wedding day. Of course I still have 9 months, but if I start now I will just be looking super even before the wedding. I plan to work out minimum of 4 days a week at least an hour each day mixing up workouts each week. Today is day 6 of working out and it hit me that I needed to let you all in on all the fun! Tomorrow, seeing as I won't have the limited amount of time that I normally have during the week I am going to be doing LOTS of fun stuff...I'll keep you posted.